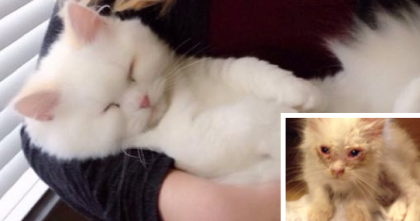 Kitten Notices Doggie, But After He Starts Rolling On His back… Watch How The Kitty Reacts To It, AWWW! 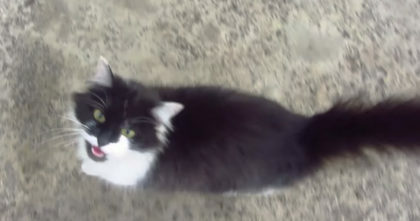 This sweet kitten notices his doggie friend rolling on his back, then the kitten starts learning what to do and the reaction towards the end is just ADORABLE. This kitten almost copies the doggie when he sees him after laying down… Kittens are just adorable, especially when they’re learning new things, AWWW! 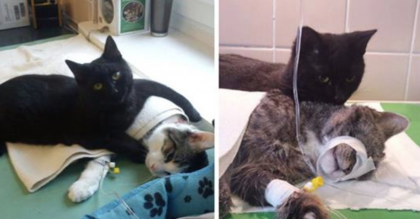 Stray cat crying out for people to help her on the street… Now watch when her request is answered! 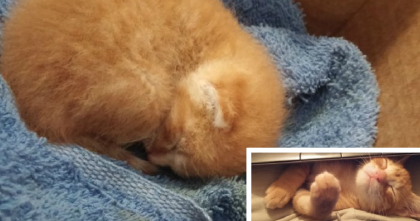 Simba The Little Ginger Kitten Was Found In A Back Yard, But Then…Sweetest Ending Ever! 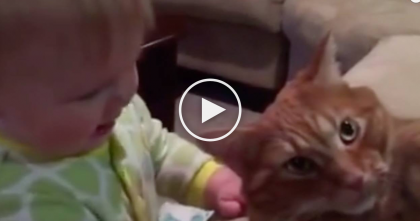 Baby Loves This Kitty So Much She Tries To Eat Him…This Is Unexpected, LOL Just Watch!